We recommend completing this checklist before adding MemberStack to your site. Most of the work to create a membership site takes place before you have a MemberStack account. This page covers the main components your membership site needs to work with MemberStack. MemberStack automatically adds the following components to your site, so you don't have to worry about creating them. 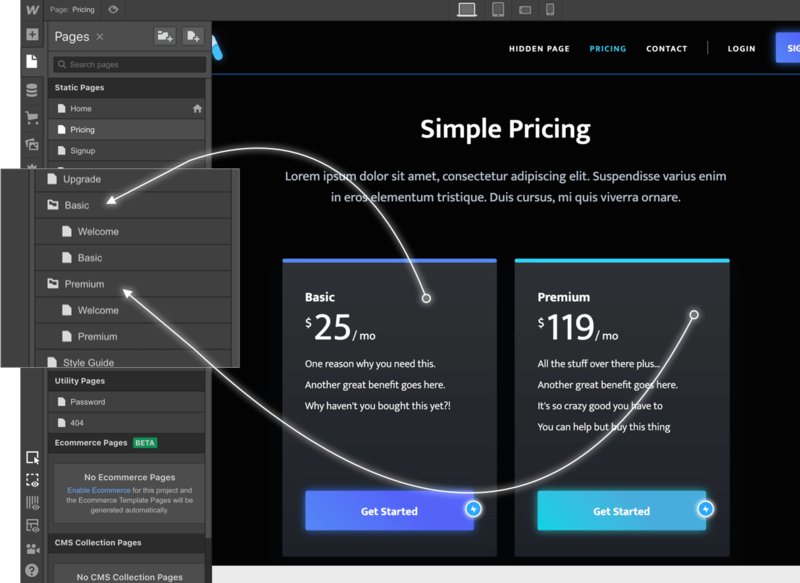 We tried to make your job easy while still giving you design control over your site. All MemberStack components are brandable. 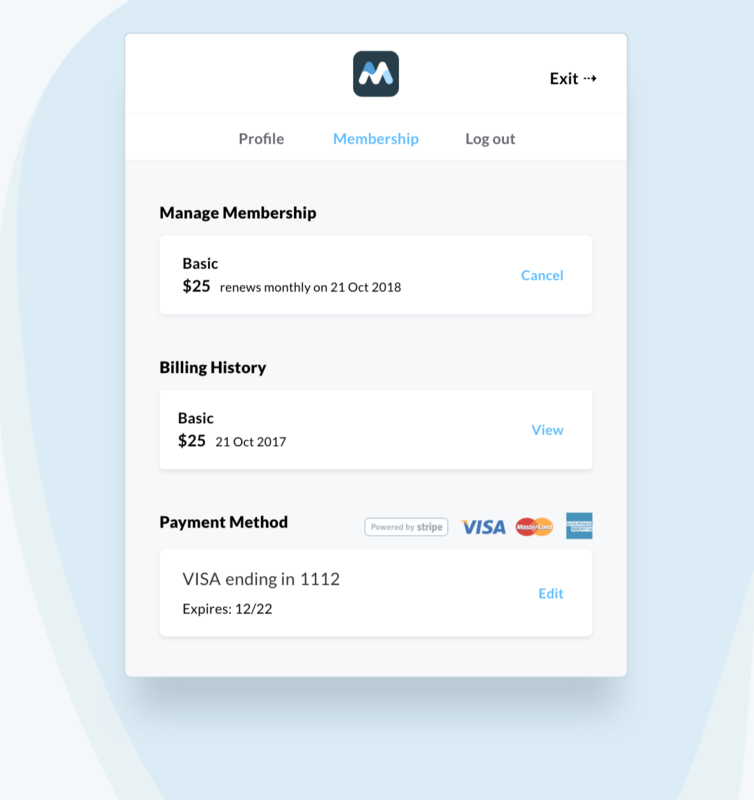 The member profile portal allows users to view and edit their profile information, membership status, billing history, and current payment method. Members are also able to change their password and log out via their profile. 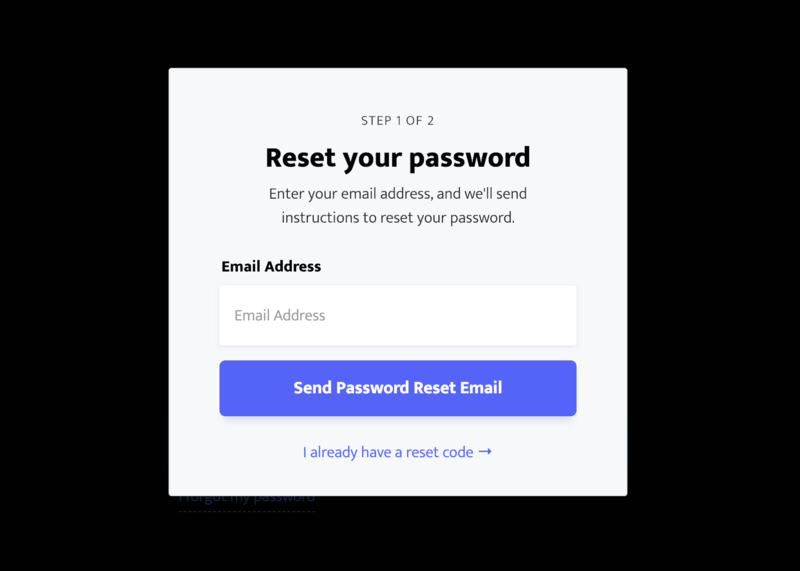 The reset password modal is available to members who have forgotten their password. When the user enters a valid email, they will be sent a unique code by email and allowed to change their password. 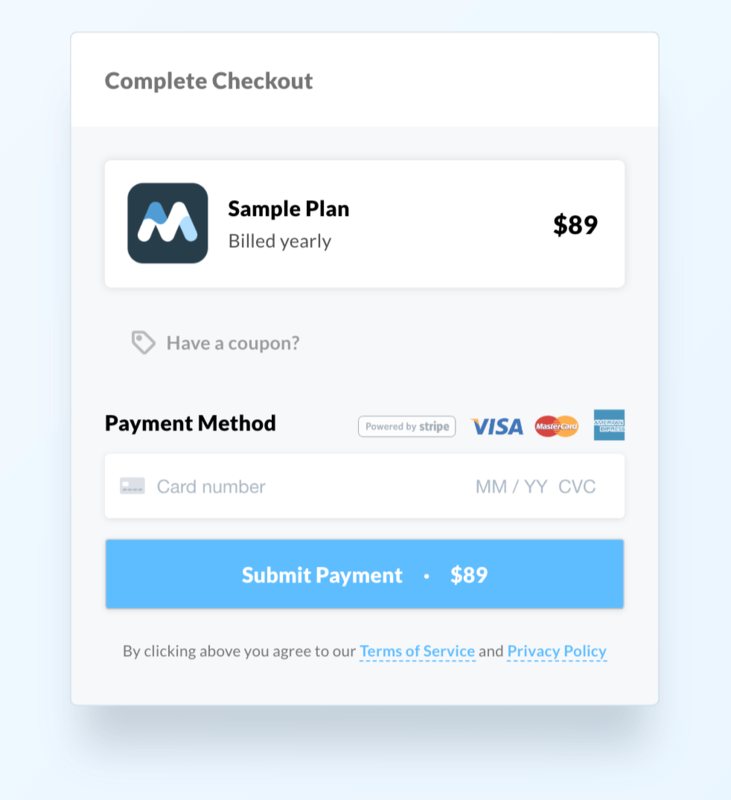 The checkout modal provides members with an overview of their purchase and a streamlined Stripe checkout form to securely process their payment. The upgrade model gives users an easy way to upgrade and downgrade, even after they have an account. You will need to build the following pages and components in your Webflow site. MemberStack makes it easy to hide individual pages, folders, CMS items, and CMS collections without adding custom code. For easy maintenance, we recommend grouping pages into folders or CMS collections - effectively splitting your site into separate member's only areas with their own internal navigation. Signup forms are native Webflow forms consisting of regular text fields. Email and password fields are required. You are allowed to add as many additional sign-up fields as you like, but we recommend limiting the number of fields to maximize your conversion rate. 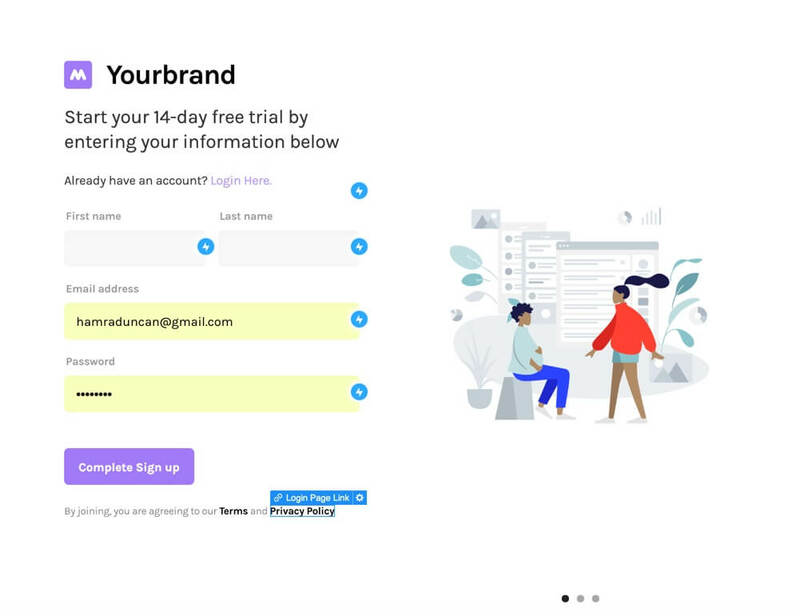 Login forms are native Webflow forms consisting of regular text fields. Email and password are the only fields allowed in login forms. You will also need a forgot password link on this page. Add buttons or links to your member's only pages so users can access their profile. These elements shouldn't link to other pages. You will need to include signup buttons across your site. 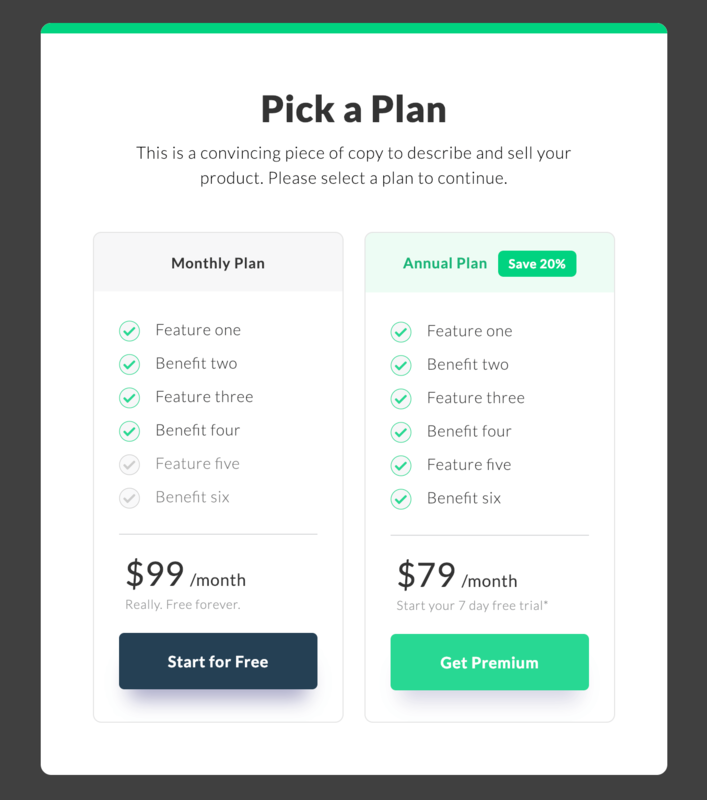 All plans, free or paid, need at least one signup button linking to your signup page. 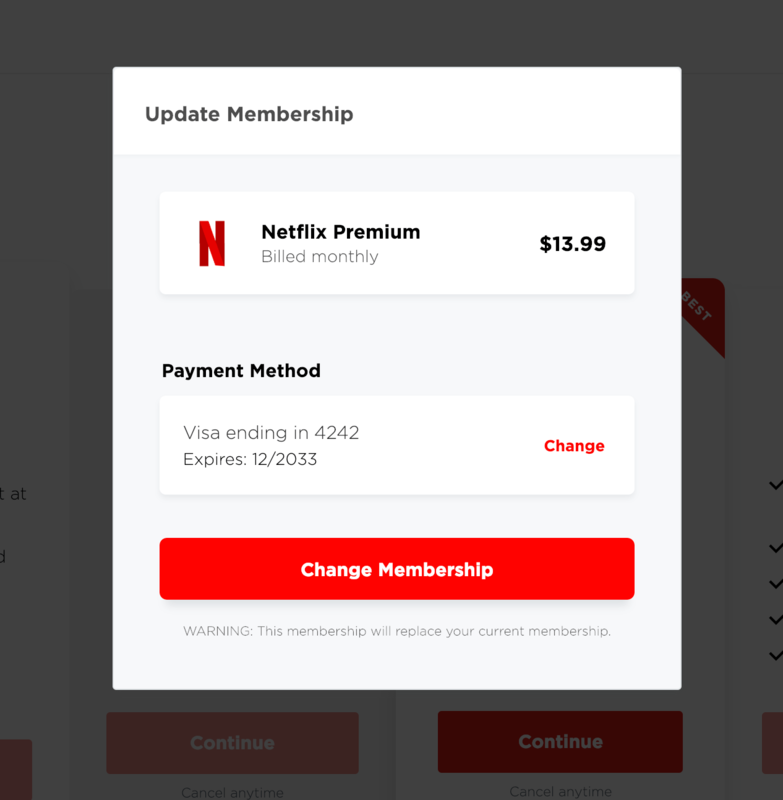 Upgrade pages are pricing tables only accessible to members who are logged in. Welcome pages are optional one time screens that new members only see the first time they sign up. You can have one welcome page per membership level. If you haven't already, please signup for early access. MemberStack only takes a few minutes to install, and you get a chance to request missing features, ask questions, and help improve the application for future users.